Amish markets are shopper favorites, providing a wide array of goods including foods, crafts, baked and canned goods, and even furniture and outdoor items. Amish live in 30 states, and sell their products in many more. Use the guide below to find an Amish market in your neighborhood. 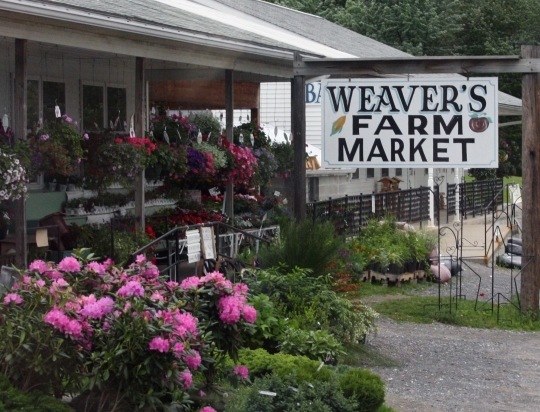 Venues commonly described as “Farmer’s Markets” or “PA Dutch Markets”, where Amish vendors sell goods a few days each week, such as those near cities like Baltimore and Washington, D.C. NOTE: There can be a lot of difference between the businesses listed here. Some are full-fledged Amish operations; others may just carry a limited amount of Amish-made or Amish-labeled products. We’ve tried to give a brief description of each sharing what information we have been able to find, but it’s always good to double-check the nature of a business using the contact information before traveling a long distance. As businesses change over time, we also don’t guarantee that this list is 100% up-to-date. Your corrections and suggestions are welcome. Know of a venue selling Amish products that we missed? Share it with us in the comments section. At Ozark Country Market you can find both Amish and non-Amish products. Locally made Amish items including jams, marmalade, butter in a variety of flavors, meats, hand-woven baskets and gifts. Offers Amish and Mennonite made fresh bread, jams, snacks, cheeses and meats, fruit cider, candy, cookbooks, soaps and more. Business owned by Clarence and Barbara Yoder, started in 1990. They carry a wide array of products such as baked goods including wheat bread, cinnamon rolls, homey heart sandwiches, homemade pies, pound cakes. Amish owned and operated bakery in San Luis Valley. Run by five Miller daughters. Features over 25 vendors selling baked pies, doughnuts, cheeses, fresh meats, BBQ chicken and ribs, fresh fruit and produce. Amish made furniture available as well. Plenty of food stands, restaurants, candy; mostly homemade by Pennsylvania Amish. Runs every Tuesday and Friday year-round, sometimes also on Saturdays. At Spence’s Bazaar and Auction you will find an array of products from Amish food, natural spices, Amish grown fresh produce, to electronic items and furniture. At Byler’s variety store you can find some Amish handcrafted wooden items among a wide choice of foods, meats, pies, cookies, jams and jellies and more. Go to Florida Amish Markets list. Beachy Amish Mennonite country store with old-fashioned candy, spices and Amish tonics. Provides Amish made products such as rolled butter, Amish Country Popcorn (mushroom, red, midnight blue, caramel, rainbow, yellow), among an extensive selection of non-Amish made items. Go to Illinois Amish market listings. View the Indiana Amish market directory. Offers a broad choice of products, all made by local Amish families, such as jam and jellies, candy, hand-woven baskets, bird houses, gifts, furniture and much more. Amish produce auction, largest in Iowa. Takes place on second and fourth Saturday from April until October. Amish homemade goods, foods, bakery. Amish made foods and such. Amish products made by Lamoni communities. Family owned country store, provides organic and Amish made products such as grocery and bulk food items, candies, jams and jellies, pickled items, cheeses, meats and much more. Specializes in a variety of meats including custom cut, smoked meats and sausages. Habegger’s Amish Market is located in the Amish community in Allen County, KY. Wide array of local products available including Amish homemade meats, cheeses, butter, fresh breads, pies and cookies. View full directory of Maryland Amish markets. This is a family owned business carrying Amish products including naturally raised fresh meats, organic produce, Amish dairy cheeses, baked goods and much more. Serving the local community since 1952. Amish grocery store specializing in bulk foods. Choice of fresh produce grown by local vendors. They provide some Amish homemade items such as pies, jams and jellies. Amish store, offers fresh produce and bulk foods. Local Amish baked goods and such. Amish Market Square provides some Amish items including fresh produce and baked goods. A range of non-Amish products also available. Specializes in Amish hand made crafts and furniture. Amish homemade goods and fresh produce available as well. All items are made/grown by local Amish from Todd County, MN. A range of different Amish businesses including Jacob Yoder’s seasonal candy, Jacob Schwartz’s general store, Jerry Schwartz’s bulk foods, Jerry Yoder’s bakery, Amos Eicher’s grocery store, Albert Hilty’s butcher shop. Amish country variety store and greenhouse, provides fresh produce, goods and foods. Amish made bulk foods, produce, dairy, spices and seasonal products. Amish locally grown fresh produce. Amish groceries, bulk foods, gourmet foods and much more. Amish-run business, features a variety of products including foods. Go to full New Jersey Amish markets directory. New York City supplier for Amish products, carrying all kind of foods, fresh produce and baked goods. Amish style restaurant, catering and delivery available. Market has 3 different locations. Amish made cheeses from Ohio communities among a range of non-Amish products. Full line of Pennsylvania Dutch products including some Amish made goods. Has been in business for 25 years. Yoder’s Amish Market features a broad choice of products including baked goods, bulk foods and deli items. Cheeses come from an Ohio Amish community. Cheeses made on an Ohio Amish farm. Wide selection of Amish outdoor furniture and crafts available as well among non-Amish foods and goods. Amish butter, cheeses, bulk foods, baked goods, canned goods and more. View the Ohio Amish market full directory. View the full Pennsylvania Amish market listings. Carries Amish and Mennonite products such as Amish fresh baked goods, tomatoes, strawberries, peaches, watermelons, onions, peppers and much more. In the fall season pumpkins, mums and gourds available. Amish handcrafted furniture, gifts, homemade food including jams, jellies, canned goods and much more. A selection of products including Amish peanut butter. Provides Amish-made items including furniture, gifts and crafts among a wide selection of homemade Amish and Mennonite foods such as fresh produce, dairy products regularly shipped from Amish, home-canned fruits, vegetables and a range of Amish-made candies. Specializes in Amish furniture and crafts. They also carry a wide selection of homemade Amish goods including jams and jellies, noodles, pickled, organic and sugar free items. Wide selection of Amish candy and sweets available as well. View Amish markets in Virginia – full listings. A range of Amish made products such as jams and jellies (apple, apricot, cherry, blackberry, peach, strawberry, plum butter, dutch apple jam, gooseberry, pumpkin butter), cheeses, gifts, crafts and much more. Cookies and candy made by Amish suppliers. 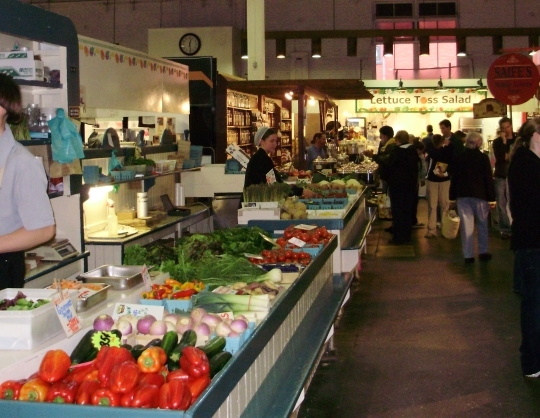 Halfway Market was established in 1970 originally as a produce market. Over the years they have opted to provide some specialty products including Amish jams and canned items, Amish cheeses and Amish Wedding foods. Hand made furniture by Amish craftsmen available as well. Established in December 2007 a unique gift and craft shop opened in memory of my parents Bill & Edna Yoder (formally of the Amish faith). Amish food, cheese, baked goods. Plus many handcrafted items. Mishler’s Country Store, southwest of Dalton, Wisconsin, on Barry Road (Highway HH), East of Kiefer Road and West of Grouse Road. Also, the Amish-run “Salemville Cheese Factory”, W4481 County Road GG, Cambria, WI 53923; 920-394-3431; M-F, 8 to 5 and Sat, 8 to 4. Erik, I don’t know if this is of any significance to you, but there there are a couple of items that are not / no longer correct. I’m pretty sure that the three Jamesport businesses of Country Acres, Graber Nursery, and Homestead Creamery are all owned by German Baptists. At least the first two are listed above as Amish. Mary Graber ia a friend of mine & she is Old Order Amish. Fyi, by no stretch of imagination could Western Market in Ferndale, Michigan be construed as an Amish Market. It is a typical produce/meat/deli. I wouldn’t say anything except I would hate for anyone to take a longish ride there only to be disappointed. It is a nice produce market, but probably 150+ miles from anything Amish. Thanks, Catherine. Would you say our description of that location is accurate? 1.Venues commonly described as “Farmer’s Markets” or “PA Dutch Markets”, where Amish vendors sell goods a few days each week, such as those near cities like Baltimore and Washington, D.C.
Before I reply to your question, please know that I love this site, the good info and leads about Amish activities and bits and pieces of Amish news and info on new books on Amish Life. I enjoy seeing a site like yours where honest/real info is shared about Amish life. That being said, I found this list with its inclusion of “carries some Amish products including fresh meats, cheeses and produce” inaccurate. I guess it all goes to the definition of the word “some”. I may be able to find limited packages of chicken prepackaged as Millers, and a pint of cottage cheese using the name Yoder. But I could go to many stores, even big box, and see that. I guess to me it is like the Amish Space heaters, not made by the Amish. Or Amish toys with a made in China tag. Sure, then I’ve just removed it as it sounds like you’re confirming they don’t sell any Amish-made products. There’s no intent to mislead (and I don’t know how we would even gain from that, it’s not like anyone on this free list pays for inclusion, it’s just meant to be a service for people looking for Amish products). We use a variety of sources to create these including online sources and what can be found on websites, and whenever this was created there was probably enough information to suggest that they carried “some Amish products” as we described it, so it fit in one of the 4 categories we describe at the top. We put all 4 groups in one list here because when creating it it didn’t really make sense to have 4 different lists. I hope people understand that they should check a place out before traveling a long way, I usually just assume that is understood (that’s why we give the website and phone info too). Additionally, the character of a business and its product line can change over time, which could also be a factor (so this can’t be an up to the minute account of what a place is selling). Basically we rely on reader feedback to adjust these lists over time, so thanks for the info and helping with the list. And thanks for your kind comments on the site! A new store has opened in Utah, selling Troyer deli meats and cheese, bulk food, Lebanon bologna, jarred jams, pickled foods, and Amish roll butter, according to the article, “Amish market store opens in southeast Provo.” The owner has Amish friends in St. Ignatius, Montana. They sell bulk food and regular can foods, cereals, coffee, frozen food, etc. They do sell a variety of cheese, Amish baked goods, and fresh produce. They do have a small deli and their ice cream is a big hit. The Amish community shop there so one must be mindful of all the buggies parked alongside the building. A young Amish boy will take your groceries to the car so remember to give him a little something. Both Amish and English shop here. This is a family run business. They have 80 different kind of cheese. They have every kind of meat you would want-chicken, beef, and pork. The meat is individually wrapped in white paper like in the old days. I like to buy the meat frozen. They have a wide variety of jerky too. If you get there at the right time, you will see the young Amish girls bringing in fresh eggs and produce. Hope this helps some folks. These stores are not tourist attraction, but real Amish places to shop. I love all the posts of Amish America and the Business Directory. Some time ago, I asked you if you would compile of list of stores that actually cater to the Amish. I am a sales rep for a Christian Publishing House and I have found stores with Amish customers actually do quite well with our children’s books. You replied with the names of some stores and I contacted all that were not already customers of ours. Will you be listing these businesses any time in the near future? Also, would it be possible to list stores that you visit while touring areas with Amish communities. I live in Monroe,La. Is there a market near us to purchase some….my husband is a OTR-trucker he brought some home, and it was Delicious…I gotta have some more!! I think there’s one in Ark,that’s probably the closest to me I think….let me know what you find not far away..Piz! !